The Replacement for Remcon Switches? 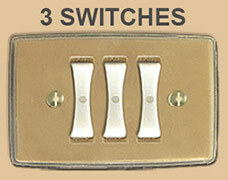 Touch-Plate Switches. Have a Pyramid or Remcon low voltage lighting system installed in your older home from the 1950's & 1960's? 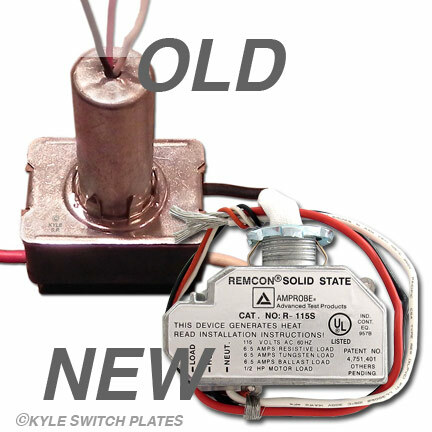 Find new solid state replacement Remcon low voltage relay switches that are compatible with your remote control wiring installation. 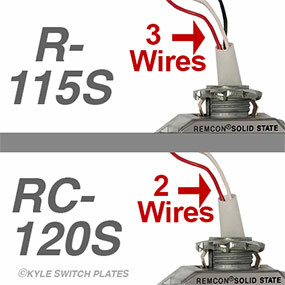 If you need to replace Remcon low voltage switches, please see some options below or buy Touch Plate switches in other colors. 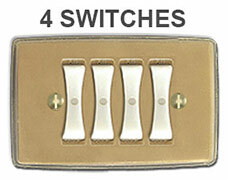 Q: What Is the Replacement for Remcon Switches? Save time and money! To ensure that you buy the correct parts and only those you really need, we recommend reading through our Remcon Low Voltage Troubleshooting Guide first to identify what is not working. 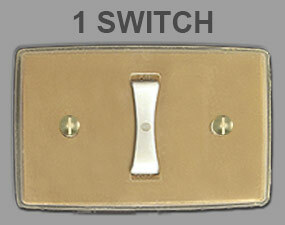 Touch Plate is the only replacement option for your outdated Remcon low voltage switches. NOTE: For every 1 Remcon switch you previously had, you will now have 2 Touch Plate buttons (an "on" and an "off"). You'll be updating your 3-wire Remcon system with 2-wire Touch Plate switches - add this free wire conversion guide to your cart when placing your order. 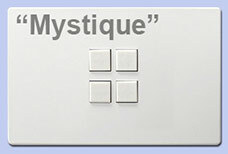 Touch Plate Ultra, 5000 or Mystique series with 2 buttons. The only difference is the look - choose the style you like best. 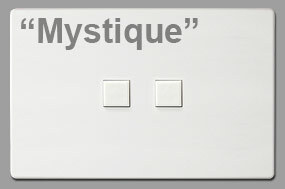 Touch Plate units with 4 buttons: Ultra, Classic & Mystique. Two 6-button options includes the Ultra and the Classic series. 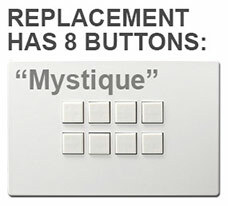 You will need a Mystique with 8 buttons in place of 4 switches. 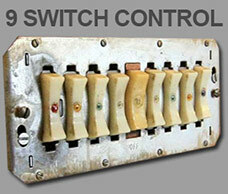 The old Remcon panel has 8 switches plus a 9th in the center that acts as a master control. You'll either have to patch the wall to replace all 9 switches (using the Classic line), or reduce the switches being controlled down to only 8 (using the Ultra line). 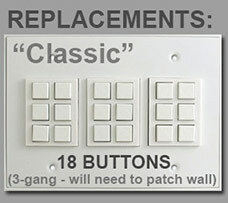 Note that the Classic Touch-Plate panel fits a 3-gang box, but the 9-button master panel fit a 4-gang box so some adjustment may be necessary, as the replacement won't fully cover the hole in your wall. To create a new 8-switch panel, get four 4-button ultra series units and a screwless 4-gang or standard 4-gang cover plate. 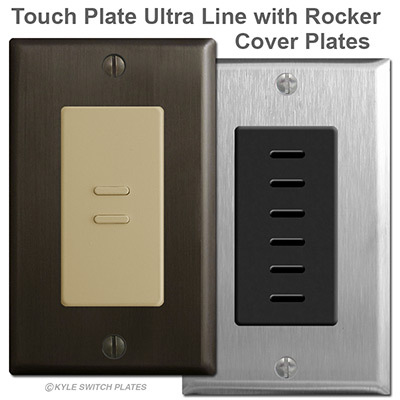 Note that the Ultra switches can be purchased without a cover plate, and you can pair it with a single decora cover plate available in 17 finishes. This gives more flexibility to your finished look. When converting from Remcon's 3-wire to Touch Plate's 2-wire switches, be sure to order our conversion wiring guide for installtion help. 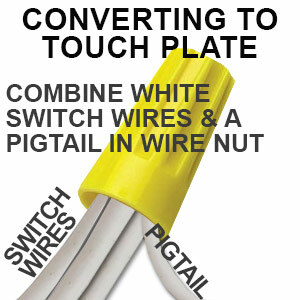 You will combine the old white Remcon switch wires in a single wire nut with a pigtail wire. 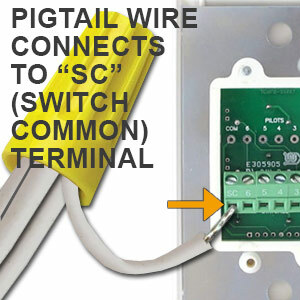 The pigtail wire attached to the wire nut will be wired to the SC Switch Common terminal on the back of the Touch Plate Unit. 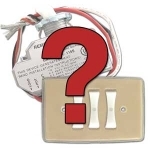 Which Replacement Relay Do You Need? First, locate your relay, and verify the brand. You'll find Remcon relays in the ceiling near the light fixtures. 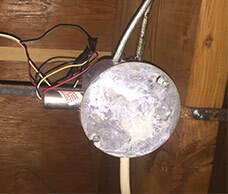 Image shows relay mounted in ceiling. Relays make a clicking noise. If they are buzzing they may be failing. 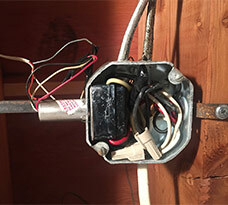 Image shows ceiling mounted relay without metal cover. Keep all your working Remcon relays in place. Replace broken relays with Remcon relays only (not Touch Plate ones). If you need a relay to control the lights throughout your home, get the R-115S here. If you need a relay to control lighting in a closet - if the lights come on automatically when you open a closet door, then shut off when the door closes - buy the RC-120S here. 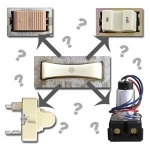 Original Remcon remote control wiring systems from the 1940's, 50's, 60's and 70's featured distinctive flared ivory light switches and rounded plastic switch plates with up to four device openings. Remcon low voltage parts were originally manufactured by Pyramid Electric, and currently are by Amprobe Instrument, however they discontinued production of their line of Remcon low voltage switches and cover plates for these bowtie-shaped controls. The good news is that they are still making Remcon's solid state relays. But if you need a direct replacement switch for your old or broken Remcon switch, you'll need to switch from a 3-wire system to a 2-wire to have one that is guaranteed compatible. 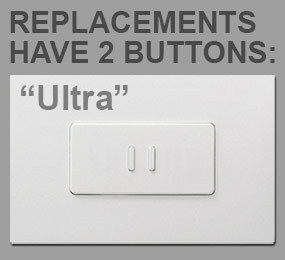 Fortunately, Touch-Plate Lighting Controls offers light switches that are compatible with the Remcon relays. How many replacement switches do I need if I am replacing Remcon switches with Touch-Plate ones? 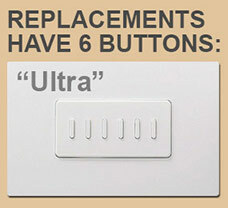 Because there are no replacement Remcon switches, you'll need to update with Touchplate switches. Whereas on Remcon, each direction you pushed on the old rockers - up/on or down/off - controlled the switch, but on the new Touch-plate ones each end of the old Remcon switches corresponds to one separate button on the updated switches. Because of this you must double the number of switches, so a single Remcon switch needs a 2-button Touch Plate replacement, so a double Remcon switch needs a 4-button Touch Plate replacement, etc. Can I use the Touch-Plate LED lighted switches to replace Remcon switches? Probably not. 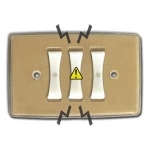 If you currently have lighted switches you would have to have a 4th wire coming out of the wall in order to illuminate the Touchplate LED light switches. Please note, however, that even if you have that extra wire, the LED in this retrofit will only illuminate the ON buttons. The OFF buttons will never light up. If you don't currently have lighted switches, and want to add them, the only way you can do this is if you have extra wires at the switch location or if you upgrade to a new panel. If I am going to use Touch Plate switches in my Remcon system, do I need to use Touch-Plate relays, too? No! Remember, even when replacing your old Remcon switches with Touch Plate switches, you will still use Remcon relays in your system. Do not use Touch-Plate relays in a Remcon system. 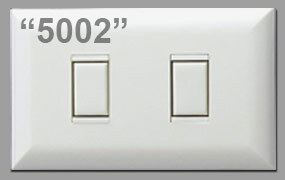 Original Remcon low voltage replacement switches and wall cover plates have been phased out of production and discontinued as of February 2011. However, Remcon's solid state relays with built-in transformers are still actively manufactured. If you need replacement devices read Remcon Switch Replacement Options to find out the solution that will work best for you. 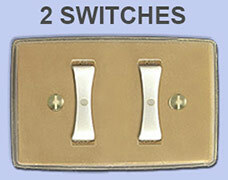 Why must I use 2-button Touchplate switches as replacements for Remcon switches? What is a 1-button Touch-Plate switch used for? Old style ovoid Remcon switchplates were typically installed horizontally with switches rocking up and down vertically to turn lights on and off. The wall plates were clear plastic with a gold backing paper. The slightly flared switches were pinched in and narrower at the middle, then wider at the top with a small centered dot. These hourglass-shaped switches were a bone color and were impregnated with a non-harmful phosphorescent material so that they glowed in the dark for about an hour after the lights were turned off before eventually fading. 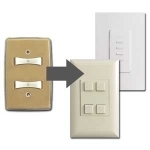 Note that the original type of Remcon mounting straps, ivory curvy rocker switches and rounded or oval wall plates are no longer in production and were eventually replaced with newer line of black Remcon snap-in switches and stainless steel cover plates (discontinued in 2011). The newer, updated Remcon production line of horizontally-oriented snap-in low volt wall plates featured hole openings of .4375" H x 1.1875" W. Each opening on a three-hole plate was .906" apart center to center; on two-hole plates, they were 1.812" apart, center to center. In contrast to the older Remcon yoke mounted switches that were screwed directly into electrical boxes or wall plaster, these updated switches and coverplates did not require mounting brackets of any kind. Instead, these Remcon low voltage momentary SPST switches mounted directly into the switchplate - switches snapped into the front of a faceplate which could then be screwed directly into the electrical box, resulting in a simplified installation and eliminating the need for mounting straps. These wall plates featured box mounting screw holes that were 3.281" apart, center to center. The only downside was that the electrical wiring had to be connected after the switch had been clipped into place in the coverplate. Faceplates were offered in single vertical and double or triple horizontal hole orientations in a satin stainless steel finish. While this updated Remcon product line of black rocker switches and snap-in wall plate covers has been discontinued, Touchplate produces replacement parts that have been tested and confirmed to be fully compatible with Remcon remote control relays.